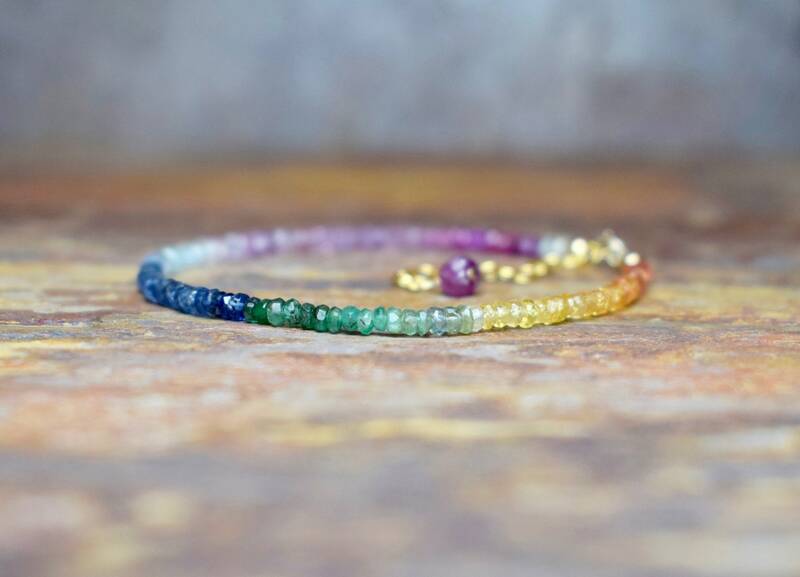 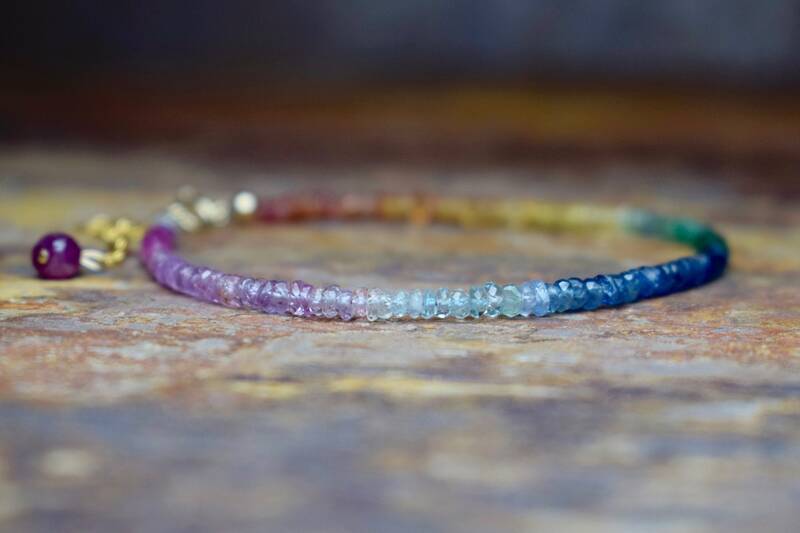 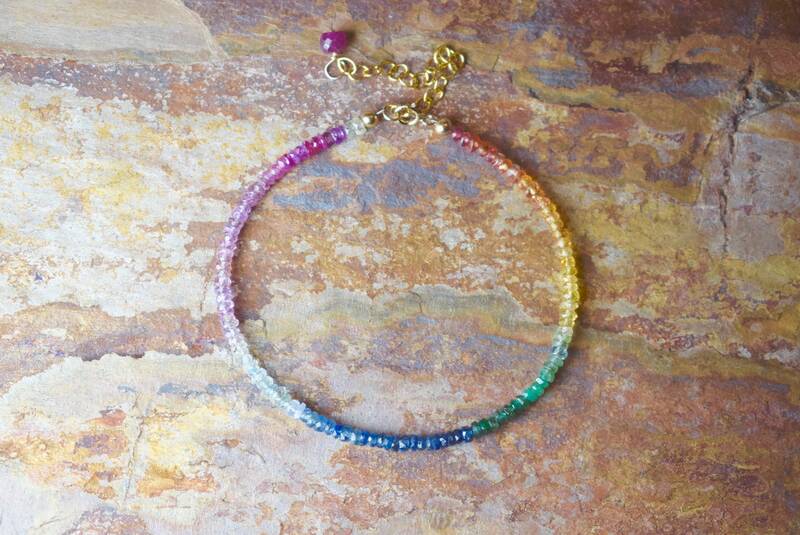 This beautiful Rainbow Sapphire, Aquamarine & Emerald bracelet is made with dazzling gemstone beads that sparkle beautifully. 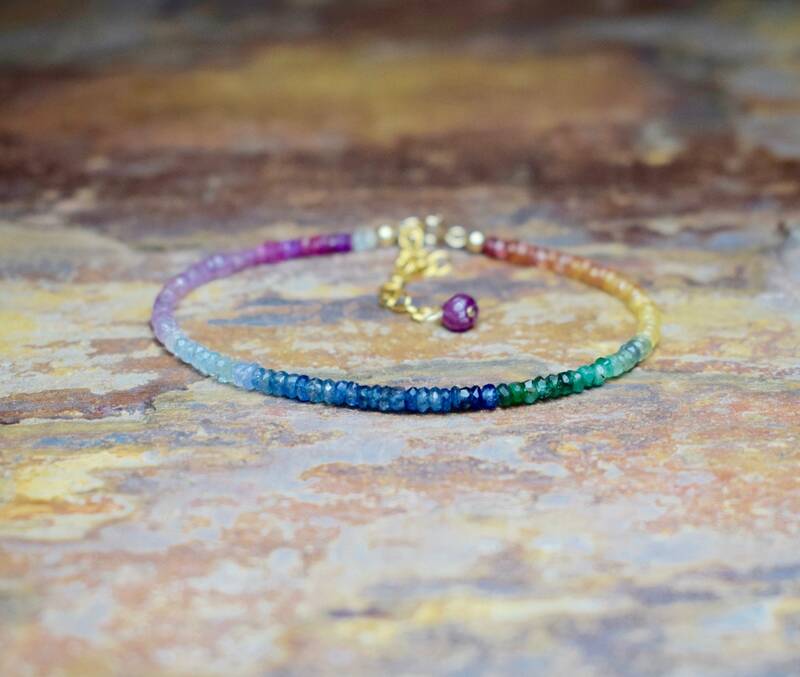 The Sapphires have been carefully selected so that they blend in harmonious tones of the spectrum. 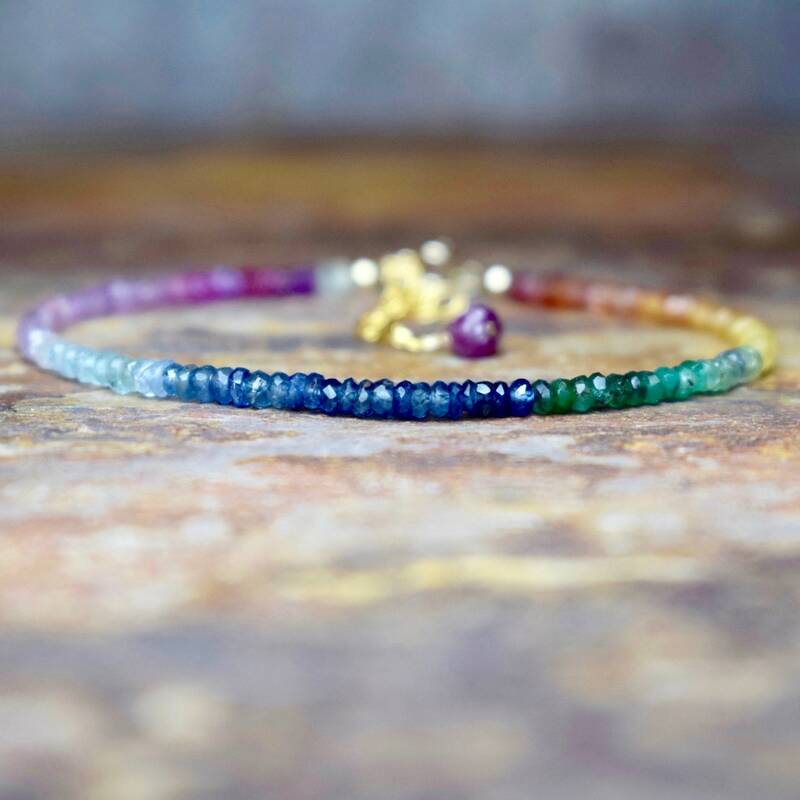 The bracelet is mainly Sapphire and includes a segment of vibrant green Emeralds and a segment of light blue Aquamarine. 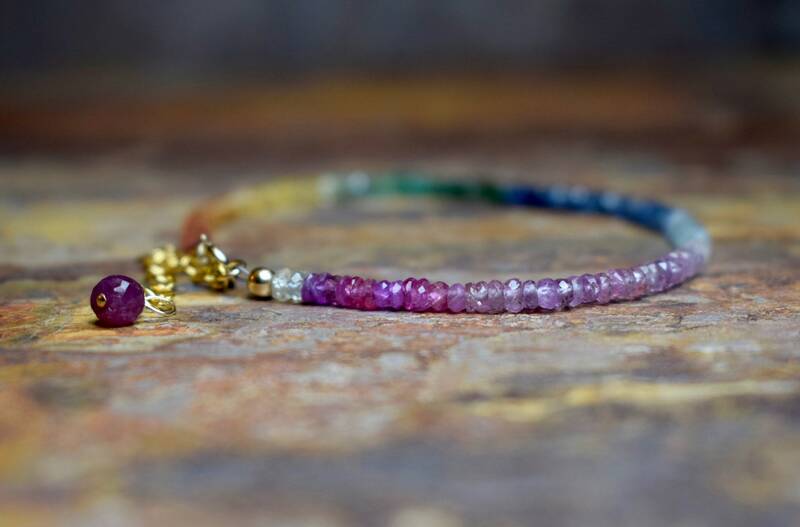 * The gemstone beads measure 3-3.5mm. 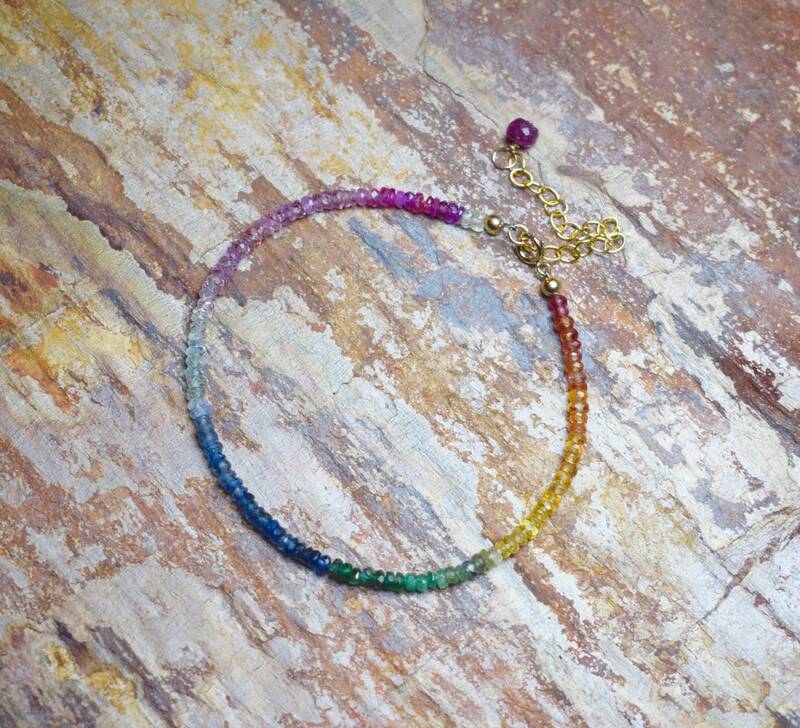 * The extender chain measures 2" and is additional to the bracelet size selected, select from the menu above. 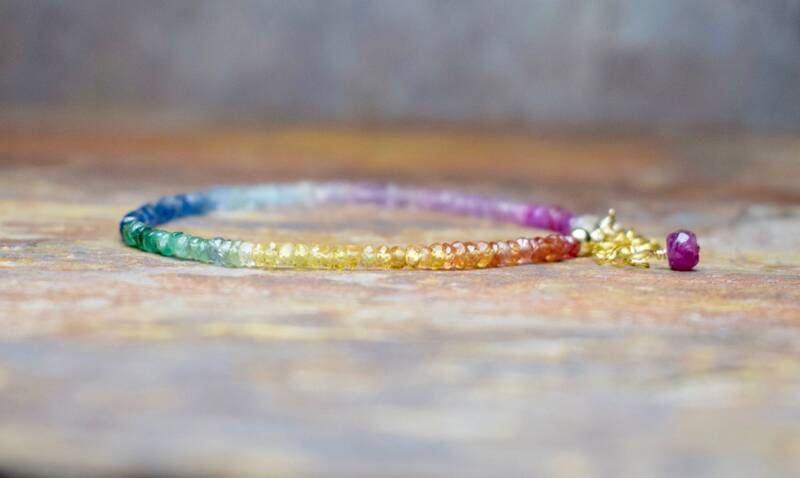 Available in 14k Gold Filled & 14k Rose Gold Fill select from the drop down menu above. 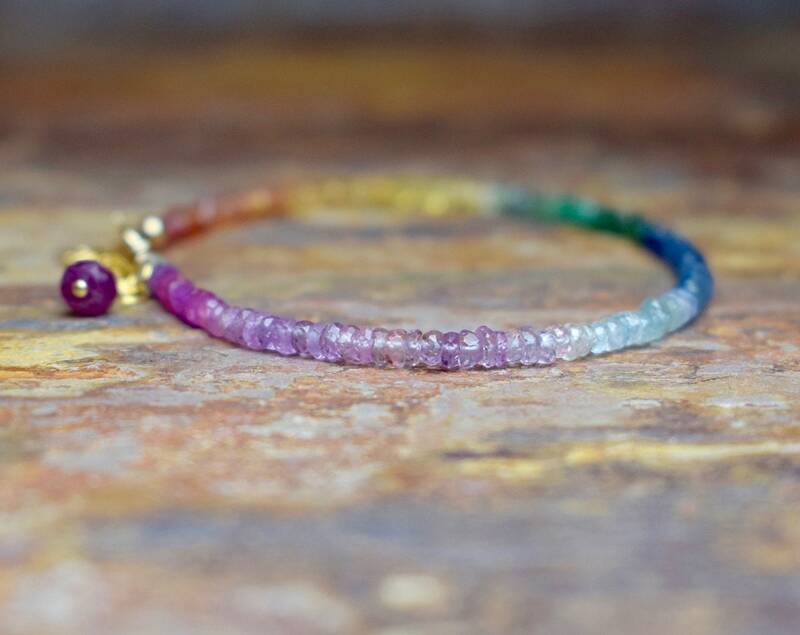 Sapphires are said to eliminate depression and infuse you with light and happy moods!